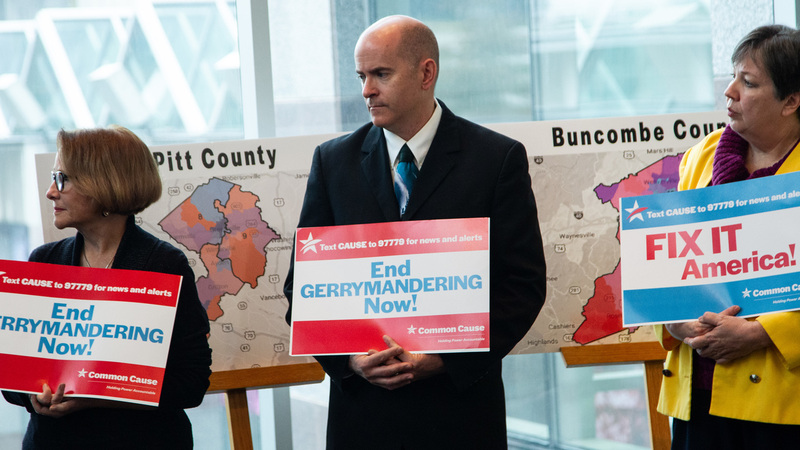 So this happened yesterday: I joined a lawsuit against the state to end gerrymandering. This makes me the second member of my family to sue the state of North Carolina. RALEIGH – Common Cause and the North Carolina Democratic Party are suing for state House and Senate districts to be redrawn for the 2020 election, claiming the districts are partisan gerrymanders that violate the state constitution. The lawsuit was filed Tuesday morning in Wake County Superior Court against state legislative leaders and the state elections board. It will likely eventually be heard in the state Supreme Court. With the election of Anita Earls last week, Democrats will hold a 5-2 advantage on the state’s highest court. “North Carolina’s state legislative maps are among the worst partisan gerrymanders in North Carolina’s history, and indeed, in American history,” said Stanton Jones, a lawyer with the Washington, D.C., law firm Arnold & Porter.